In order to improve, it's necessary to frequently mix up your body's regimen. This is tru e both in training - that's what H.I.T. (high intensity training) sessions are all about - as well as nutrition. Cyclo-CLUB's (the cycling membership I work for) Fatloss BOOTCAMP throws a curve ball to your metabolism and carefully targets your body fat as fuel, but if you were to follow this regimen on a regular basis, your body would adapt and it would become less effective. The Master Cleanse is another great tool to use once or twice per year to shake up your nutrition, detoxify, and promote healing. Last week was my prescribed mid-season break from training. Typically I'll take a block of days completely off of the bike somewhere in the middle of the year to avoid both mental and physical burnout. This year that week off happened to coincide with an injury (more about that here), so some R&R and time to take care of my body were definitely in order. I also took advantage of this time to do a quick, 3-day Cleanse. There are many different types of cleanses, but the "Master Cleanse" has that name for a reason. It's really effective at purging your body of toxins and, although sometimes difficult to stick with, makes you feel great. Eliminating solid food from your diet for a short period gives your digestive system a break and lets your body address other needs, including recovering from a long stint of hard training. The secret elixir during the Master Cleanse is a mixture of squeezed lemons, cayenne pepper, maple syrup, and water. Organic ingredients are essential (particularly the lemons) since we're looking to remove toxins here. The maple syrup provides some calories as well as minerals, while the lemons and cayenne act to draw toxins out of the system and stoke your metabolism. A happy side effect is that most people will lose significant amounts of weight during the cleanse. In my recent 3-day endeavor, I dipped by as much as 10 pounds before stabilizing with approximately a 5-pound loss, which has stayed off. The Cleanse itself can last anywhere from 3 to 7 days - and I strongly recommend transitioning both in and out of the cleanse. Coming in, slowly simplify your diet, first removing all animal products, then all grains until you're just eating fruits and vegetables, and finally move to an all-juice regimen. After the cleanse, follow this process in reverse. This is a great opportunity to assess some of your "normal" dietary practices and perhaps even to make longterm changes for the better. Plenty of water to keep hydrated and keep the body flushing is crucial and (unsweetened) herbal teas can help you bring on more fluids and add flavor to your day. Another key component of the cleanse is to have regular bowel movements to continue to move toxins out of the system once they're freed up. A salt water solution definitely does the trick, but isn't exactly palatable. Herbal laxative teas are a more gentle method. 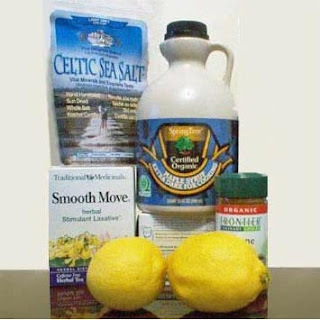 The Master Cleanse is not an easy process but, in my experience, it's extremely effective in a short amount of time. You'll definitely want to perform this in a down period in your training - you won't have the energy for serious exercise. Take care of your body, do lots of light stretching, go for walks, and get rest! The first one to two days are tough. You'll likely experience cravings and, if you're a caffeine junkie like me, headaches. As the toxins begin to release, you'll feel irritable as well. Typically by day three, participants start to feel really good and energized. Three days is a manageable, effective length for me - but I've known people who have performed the cleanse for as many as 7 or even 14 days! While following the Cleanse to the letter is probably best, it's all about making improvements. 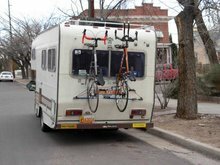 Cut yourself some slack and make modifications if you need to. I added in a small amount of daily fresh-squeezed fruit juice to my last cleanse and, although it may have prevented me from acheving the full benefit, I had one cup of green tea each day so that I could still function (my prior coffee consumption was pretty heavy!). Have any experiences with the Master Cleanse or recommendations for other Cleanse diets? Share below! World-Class July Stage Race... In Oregon! ?